Every water agency wants to be ahead of the curve when it comes to understanding the condition of its pipelines and overall infrastructure. Unexpected water main breaks are costly and have an economic ripple effect that limits customers from accessing businesses and causes numerous logistical disruptions. Proactive pipe management is important to identify and address failing pipes before a burst or a major leak occurs but is very difficult without the right technology. The Southern Nevada Water Authority (SNWA) and Las Vegas Valley Water District (LVVWD) oversee thousands of miles of water pipeline throughout Southern Nevada. In 2015, the agencies made a bold move when they became one of the first water utilities in Nevada to employ a permanent leak monitoring technology. In April 2015, SNWA and LVVWD looked to Echologics for its emerging acoustic sensor technology that effectively detects water pipe leaks. The technology company was commissioned to install its EchoShore- TX sensors on 30-inch diameter pipelines that run along Las Vegas Boulevard between Sunset and Flamingo roads, a roughly three-mile stretch. A total of 13 sensors were installed over the course of a week, and Las Vegas was officially one of the nation’s early adopters of constant water leak detection. “When we first began investigating in leak detection technology, there were no products on the market that compared (to Echologics),” explained Ryan Benner, senior maintenance engineer for both the SNWA and LVVWD. That $150,000 investment has paid off enormously, allowing the agency to gain a clearer understanding of the condition of its water pipeline infrastructure and allowing it to make better fiscal decisions about when and how to execute pipe repairs and initiate maintenance efforts. “This technology really allows you to deploy resources to repair leaks before catastrophic breaks occur and when it’s convenient to the customers,” added Charlie Fricke, Las Vegas-based distribution manager for Echologics. The LVVWD had plans to replace about 500 feet of larger diameter pipeline at a busy intersection on Las Vegas Boulevard (The Strip). The project would cost the agency $1 million, but the disruption to businesses in the area would be a far greater economic detriment. Since the installation, SNWA and LVVWD have installed 54 more sensors throughout the city. Many of these new sensors are part of Echologics’ EchoShore-DX platform, which is for smaller water pipes, fewer than 16 inches in diameter. These nodes attach to caps on fire hydrants throughout the city, making for a very simple streamlined installation process. “This type of detection and monitoring allows us to plan and address problems before they become major issues,” Benner noted. Based out of Toronto, Echologics now has two employees based in Las Vegas.  While WaterStart, the state partner agency that helps to align new technologies with local water agency needs, aims to relocate enterprises to the region for economic development benefits, the Echologics story has impacts that go beyond adding jobs to the local economy. The technology has now been deployed in numerous other markets, including Singapore, major east coast municipalities and private water companies. Echologics’ EchoShore-TX is designed for larger pipes with a minimum diameter of 16 inches. Nodes are installed in underground chambers, or secure access points, along water mains. The nodes transmit data to an antenna and information is uploaded to a secure server. Algorithms are applied to bring accurate details with regards to the state of an underground pipe and whether or not a leak has occurred. If one exists, the system can pinpoint it very accurately. The technology takes into account a variety of data factors and can be customized to a situation’s needs. Based on this information, a customized information interface is created, which can be integrated into existing client software programs. In the event of a leak, the platform will call, text or email authorities.